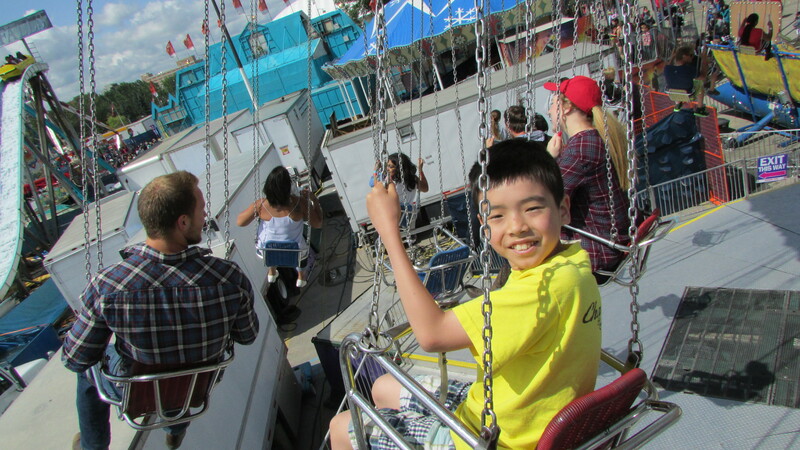 July 11, 2015 May 30, 2016 Categories Personal, TravelCalgary, Canada, Stampede1 Comment on Calgary Stampede! 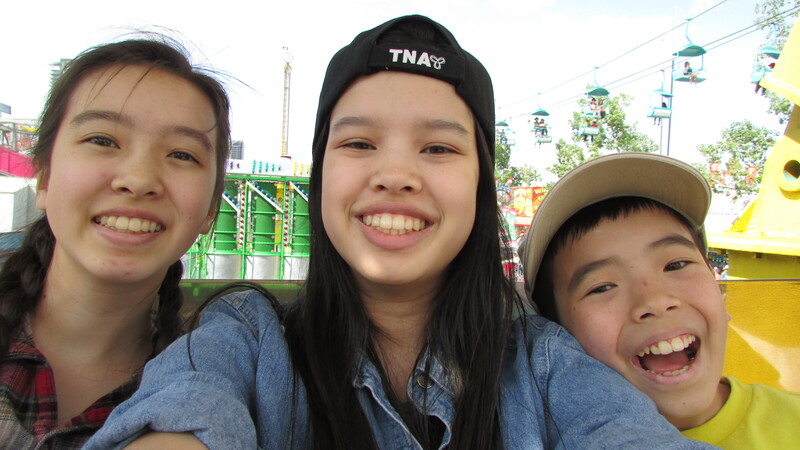 So this is long overdue, but my dad took my siblings and me to the annual rodeo in town which you probably guessed from the title, is called the Calgary Stampede. If you’ve never heard of it, it happens in my hometown and goes for ten days every July. 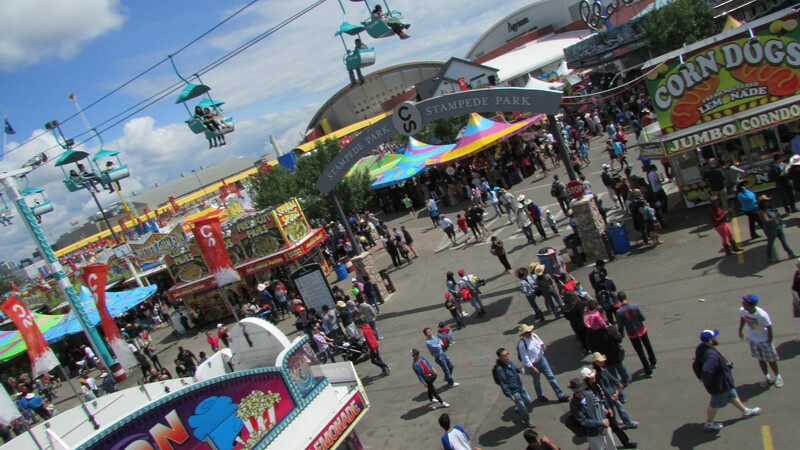 There are rides, games, and food stands. 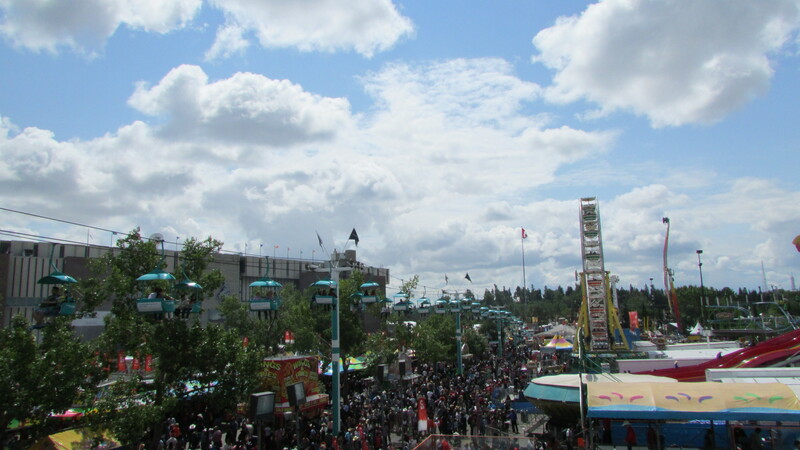 There are rodeo competitions, there are tons of informative and interactive animals and agriculture booths, there are tons of shows and concerts, there are cultural celebrations and there is tons and tons of advertising. 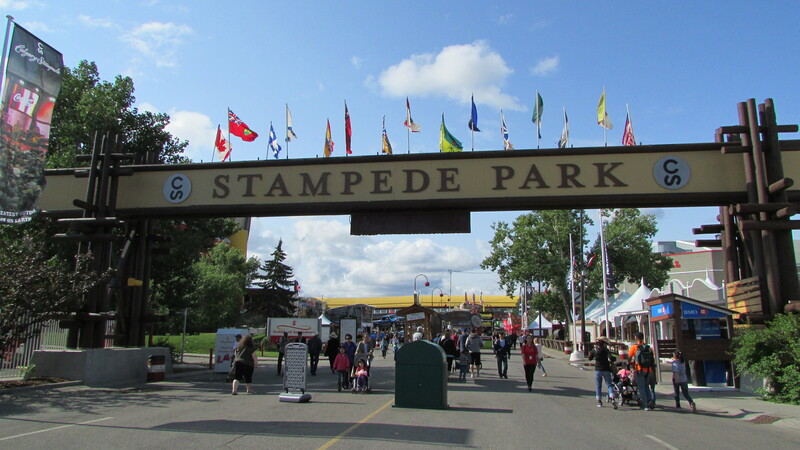 It’s awesome and the entire city gets decked out Old-West style and there are free pancakes and burgers around town for the entire duration of “Stampede Season”. My siblings and I actually ended up on the local newspaper website in the first photo in this gallery. I tweeted about it and even got a response! We were that close but in the end they chose an excellent picture of a buckaroo losing his hat. 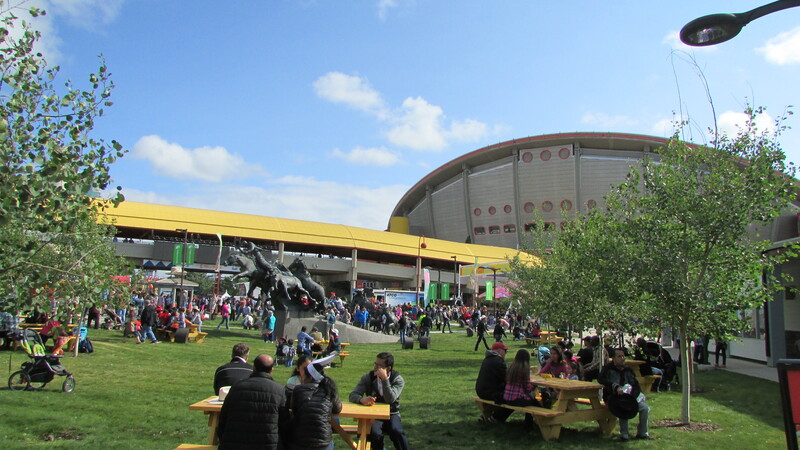 Here’s the entrance and below you can see the Saddledome where they have hockey games and stuff, and there’s also a horse statue that’s pretty cool. First we saw a bunch of animals including horses, cows, llamas, alpacas, ducks…you get the idea. 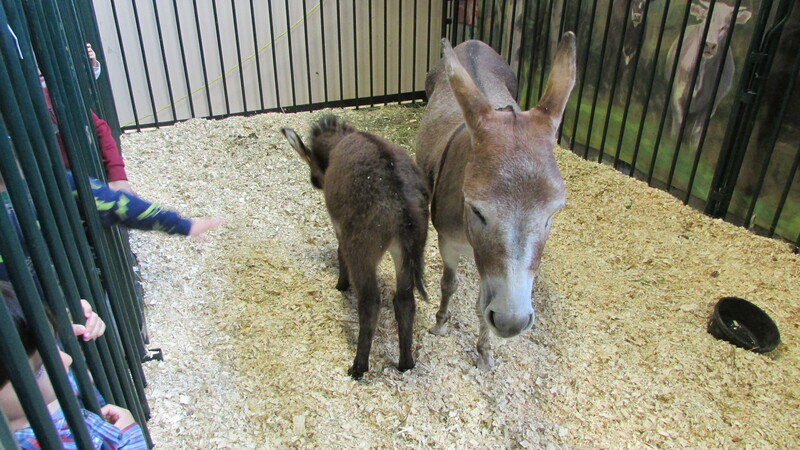 Above is a mother donkey with her one month old baby. 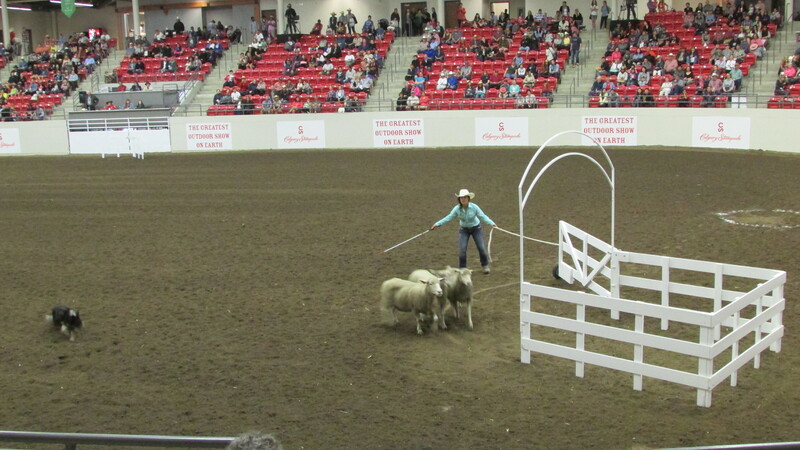 Below is a pic I took during the sheepdog herding competitions which we stayed and watched for over half and hour. It was pretty cool. Some of the dogs were really well trained and some of the sheep just didn’t want to cooperate at all, so all around entertaining. Then we looked around the agriculture building. 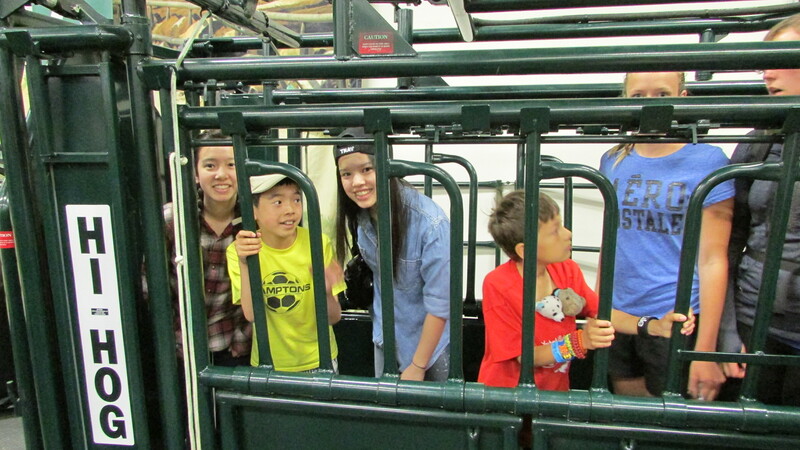 Above are my siblings and me in a machine they use to calm down cows and hold them still when they get their shots or tags. My dad also got weighed the way they weigh horses, but I didn’t get a picture of that. 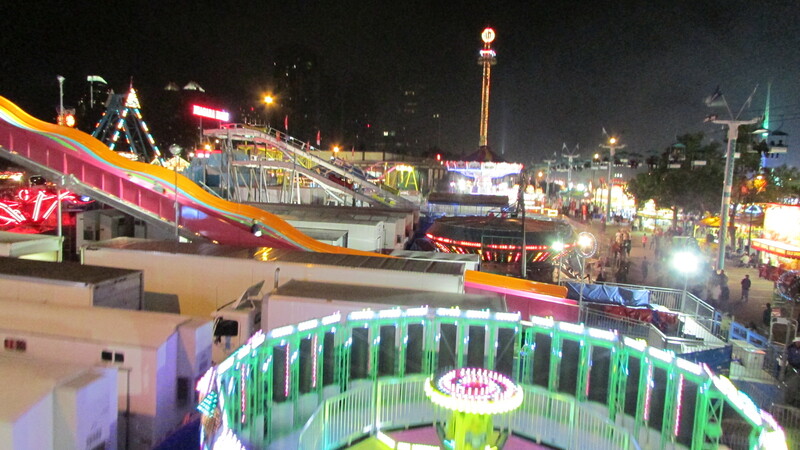 Then we hit the midway. 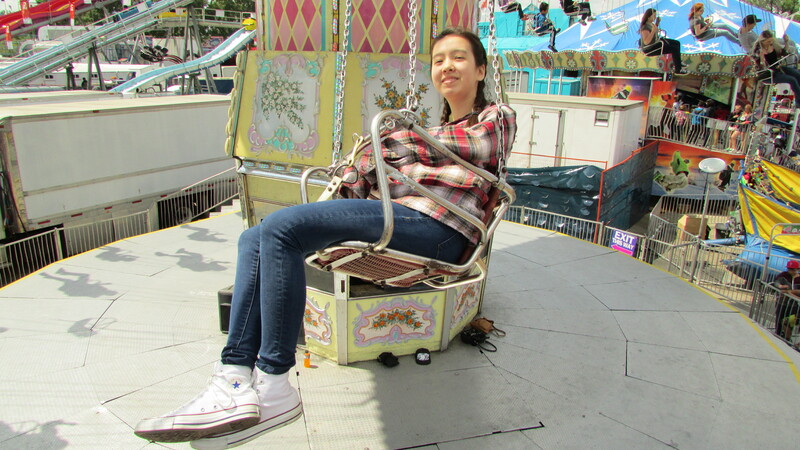 We went on a bunch of rides before taking a food break and seeing a dog show and more animals. These animals weren’t Canadian farm animals but were instead Australian, so there were a bunch of reptiles, a friendly giant tortoise, and a kangaroo. 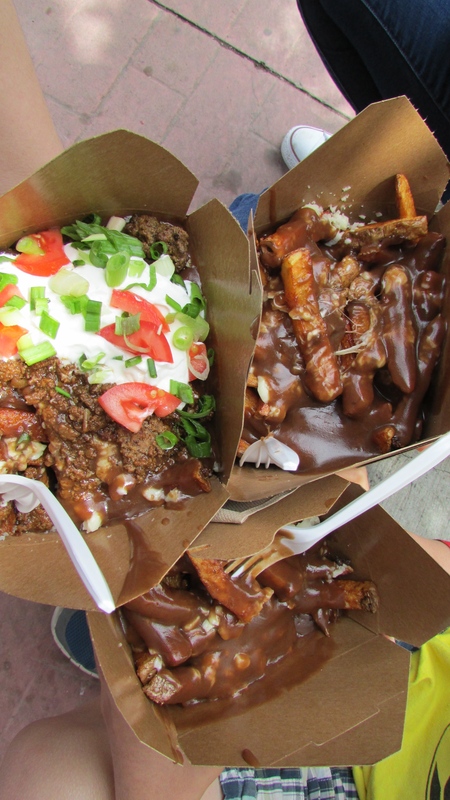 I didn’t take too many pictures of the dog show or Aussie animals, but here’s some poutine! From left: Amy, me, and Marvin. After that we visited Indian Village which has a name that’s out-of-date, but it’s cool because you can look in different tipis at all the amazing things made by natives and they have dance competitions and beautiful costumes and good food and their own little market. Then we took a tour of the big market, which is pretty much a bunch of booths selling things. Then we got hungry so we got our hands stamped and went for dinner at a nearby restaurant. 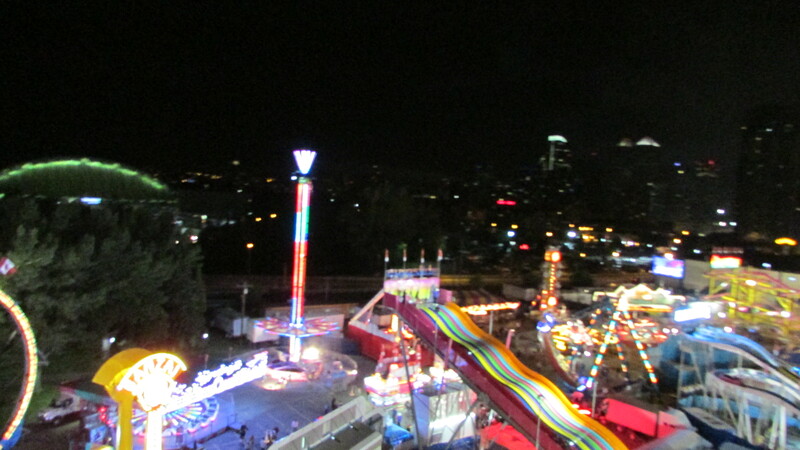 We returned at dusk as the rides were lit up and went on a bunch of them again. 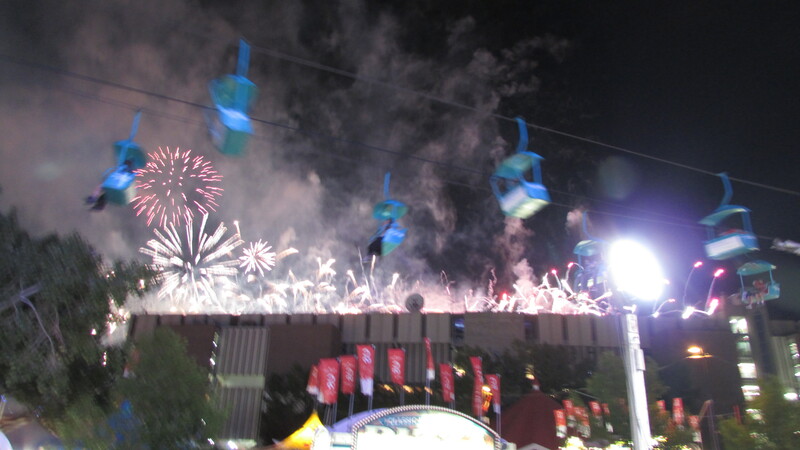 This time, there were way shorter lineups because most people had left. 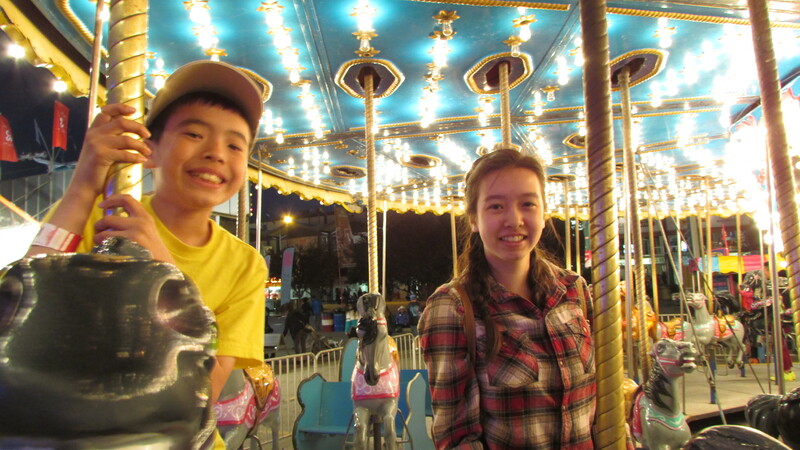 We went on rides until the park closed. It was awesome.